Health care delivery systems and payment models are transforming rapidly to try to improve the patient experience and population health while reducing system costs. For health centers, this can encompass all of the activities designed to best align health center payment with practice – allowing health centers to sustain their critical mission to provide high quality, cost-effective care to all who need it while working to become the provider of choice in their communities. Below, see how health centers are engaging in new and innovative payment reforms and their impact on how health centers deliver care. The FQHC APM is documented in the state’s approved Medicaid State Plan. As of 2017, over 20 states have chosen to use a FQHC APM to reimburse health centers for primary care and preventative services provided to Medicaid patients. An increasing number of health centers, in partnership with their state-level colleagues, are utilizing the flexibility within federal Medicaid law to develop FQHC APMs that allow for a more transformative use of the medical home. In addition to reforms specific to health center payment, health centers are also engaging in a variety of broader payment and delivery reform initiatives. Learn about these efforts and the role health centers are playing. Created as part of the Affordable Care Act, the Section 2703 Health Homes program (now in operation in 20 states and the District of Columbia) aims to create new opportunities through Medicaid to boost health services to beneficiaries, especially people who suffer from complex health care needs (such as mental health, substance abuse, asthma, diabetes and heart disease). To be eligible, Medicaid beneficiaries must have or be at risk for two or more chronic conditions. Read NACHC’s issue brief to learn more about Section 2703 Health Homes and Health Centers. Many states are connecting their Health Homes program to other initiatives to provide enhanced support to targeted patient populations. Learn about how a health center in New York is participating in a pilot that focuses on justice-involved patients. The State Innovation Models (SIM) Initiative was launched by the Center for Medicare and Medicaid Innovation in 2012. 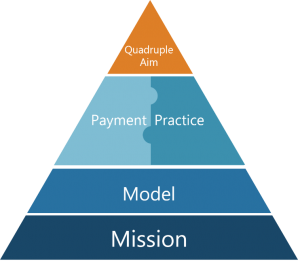 SIM was a targeted effort to accelerate broad scale development and testing of new service delivery and payment models that have the potential to increase the quality of health care while lowering total costs. Read NACHC’s issue brief State Innovation Models: Roles, Opportunities and Challenges for Health Centers in Statewide Healthcare Transformation. In the emerging landscape of value-based care, health centers and hospitals are exploring new partnerships to improve health outcomes and patient experiences while reducing system costs. An issue brief that provides an overview of strategies to reduce ED utilization, federal and state initiatives, and case studies of health centers that have implemented ED care coordination programs. A fact sheet summarizing important legal and policy issues that are key to successfully establishing ED care coordination programs for health centers.